I found some burlap remnants while shopping the other day. It's ivory. I didn't know what I wanted to do with it...but for a buck thirty, I bought it anyway. 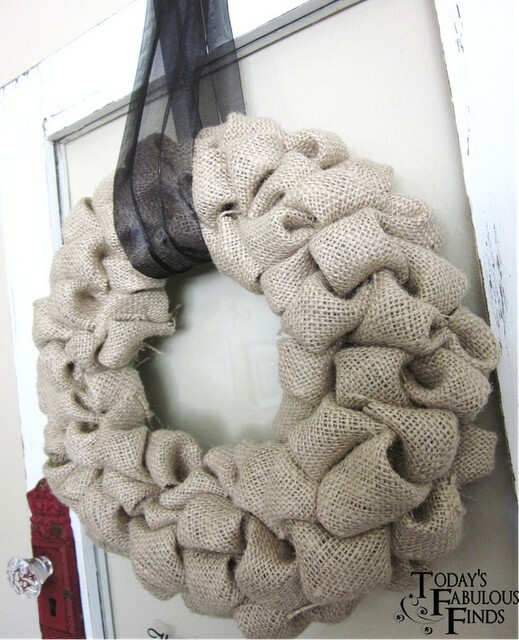 I went to my favorite resource (Pinterest) and started pinning everything burlap that I loved. I love Pinterest, it's such a time sucker. I found so many cute things, that I might just have to break down and buy a few yards of burlap to make everything that I loved. First up, is this adorable apple picking bag from Purlbee. 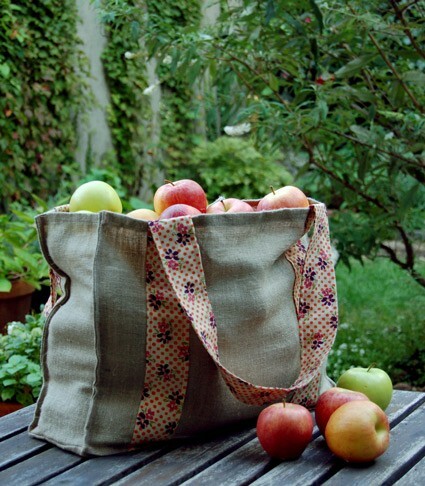 How cute would this be as a reusable grocery bag too?? Also loving this "love" bunting from No Impact Bride (there are tons of other ideas using burlap on this site). I'm thinking I might just have to make one with bright orange ribbon and have it say "fall" instead, for a pretty autumn decoration. 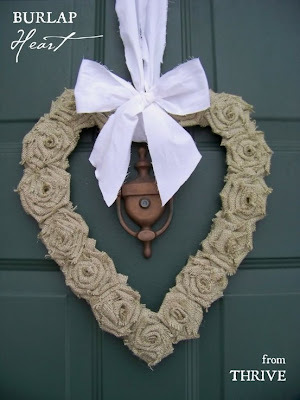 Another great idea is wreaths....there are so many clever ways to make wreaths using burlap. Like this heart shaped one by Choose to Thrive. 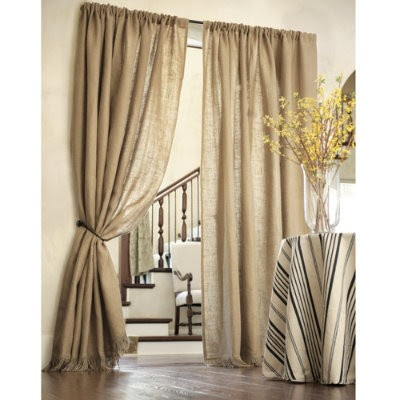 I'm also digging these burlap curtains from Ballards. I think they would look nice in one of the boys' bedrooms and they look totally hackable, don't they? 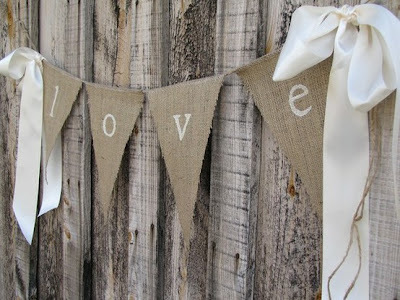 Still haven't decided what I'm going to make with my bit of burlap....maybe a cute table skirt for my sewing table or a fall bunting or rosettes for a pillow or maybe stencil a seat cushion.....the options are limitless and I can't wait to get started. Do you have a favorite way to use burlap? Leave me a link in the comments and you might just have me adding more to my "little" project list. wow those are lovely who knew it could be made in so many divine ways!